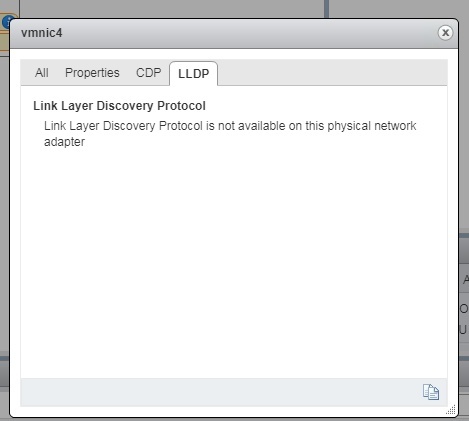 While setting up 6.5U1 on new HPE DL380 Gen10 servers we could not get LLDP working. 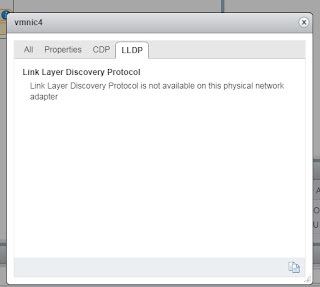 We had the error message "Link Layer Discovery Protocol is not available on this physical network adapter." It looks like the X710 card is doing LLDP in hardware, but I'm not sure why that could be a problem. Upgrade firmware the firmware as provided in Service Pack for ProLiant (SPP) Version 2018.03.0, where the intel firmware version 6.0.1 is provided. The X710 driver needs to be on version 1.5.6 which is available on the HPE Custom Image for ESXi 6.5U1. 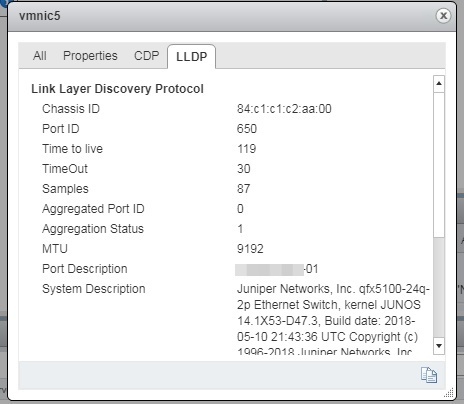 You also need to run the following command on each host: esxcli system module parameters set -m i40en -p LLDP=0,0,0,0 where the number of zeros is the number of x710 interfaces in your system. 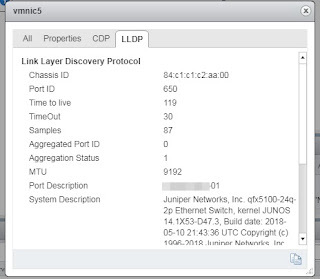 Had a similar issue with X710 NICs on Dell XC640-10 Nutanix on ESX 6.5.0U1 hosts; firmware was already up to date and latest Dell ISO was used to deploy; just needed that disable command to sort out our hosts! Thanks Heaps!! !